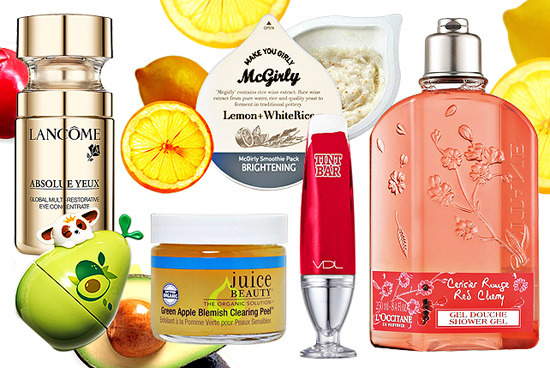 Get pretty with a dose of these freshly squeezed fruit-infused beauty products! (SPOT.ph) We all know that fruits are good for the body, but these 10 products are some of our favorites when it comes to fruits that do wonders for the skin! This cooling, lightweight body moisturizer should have the stamp "Made for the Philippines" on the tube. If you’ve ever felt like jumping back in the shower after applying greasy lotion in the heat, then this is the answer to your prayers. The fruity body sorbet delivers a shot of cool to your skin while keeping it hydrated throughout the day. There are people in other countries who subscribe to the "Fruit of the Month Club," where they receive a small crate of different fruit every month. Etude House takes this concept further by releasing a different kind of facial foam every month (a facial foam of the month club sounds more fun than the fruit one). Month No. 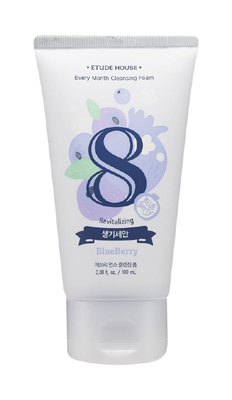 8 features an antioxidant rich facial foam infused with blueberry. 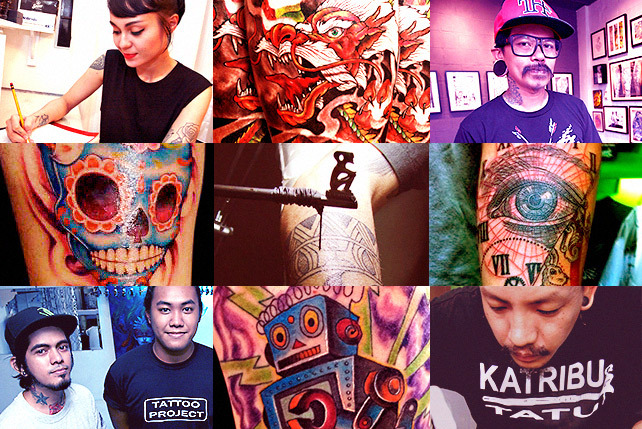 Check out the full range and collect them all. The brand’s organic skincare products use fruit juice (mostly apple and lemon) as their base rather than water, which they say helps make their products more effective. 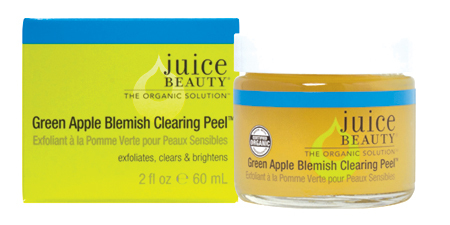 The Green Apple Blemish Clearing Peel is a natural exfoliant that evens out skin tone while keeping the face hydrated. Apple peels are actually a staple among dermatologists, and Juice Beauty’s version is an at-home treatment you can do yourself. This one also contains acid from grapes and lemons and the high Vitamin C content helps repair skin, too. 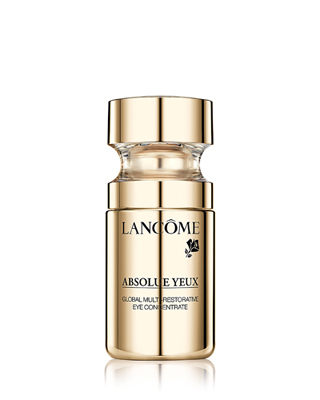 Lancome’s Absolue line’s star ingredient is the malus domestica. It sounds exotic, but it’s more known as the orchard apple. Apples are a good source of alpha hydroxy acids, which are known to be good for the skin, especially in the anti-aging arena. Malic acid also helps even out skin tone. Remember, a malus domestica a day keeps the wrinkles away. 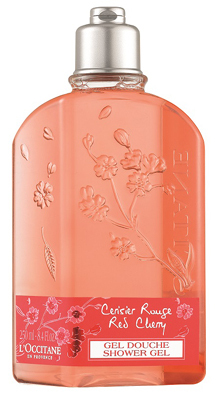 L’Occitane’s Red Cherry line is a more sophisticated rendition of the cherry. The Provençal brand uses natural cherry extract to create this refreshing shower gel that’ll make you smell good enough to eat. In the mango eating three-way, the one who ends up with the seed is usually the sorry one, because not only will you get your hands soaked with mango juice, you won’t get much meat out of the seed. Who knew that getting your hands soaked in mango juice would help you achieve soft, smooth, hand-holding ready hands? The Face Shop’s Protect Me! Hand Creams contain mango/avocado seed butter and comes in the cutest containers ever (make sure to bolt this to your office desk). 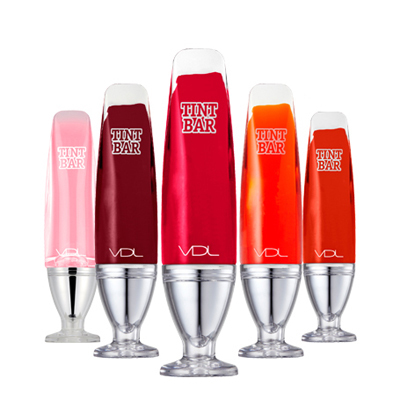 This cute lip tint looks like it was inspired by fruity cocktails, and the different shades will leave your lips looking rosy and wine-stained. The Aromatic Blends series joins together fruit and flower elements reminiscent of regions around the globe. The Orange Flower & Lychee fragrance is a fresh nod to Southeast Asia. 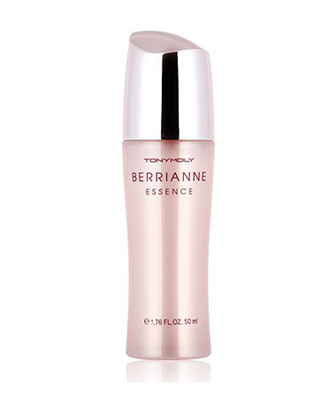 It’s a fruity floral fragrance (say it fast!) done right-it smells sweet but not artificially so and it doesn’t turn cloying even in the humidity. No, this isn’t a new fruit drink from McDonald’s, but a fruit-infused face mask that promises to brighten, moisturize, and tighten skin. Different flavors, er, variants are available depending on your skin concern. 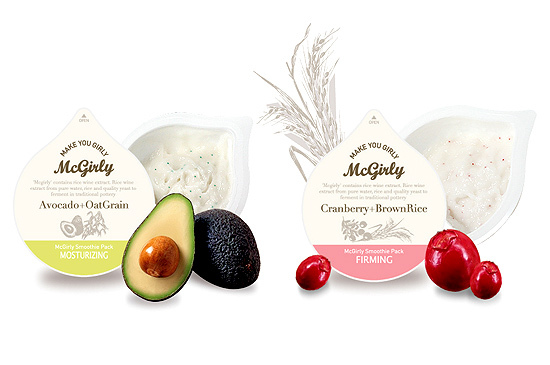 The brightening one has lemon and white rice (yummm); moisturizing contains avocado and oat grain, while firming is made with cranberry and brown rice-it all sounds like healthy breakfast meals from a fancy hipster smoothie bar. Don’t eat this though, but slather it on your face and other parts of the body that need help.